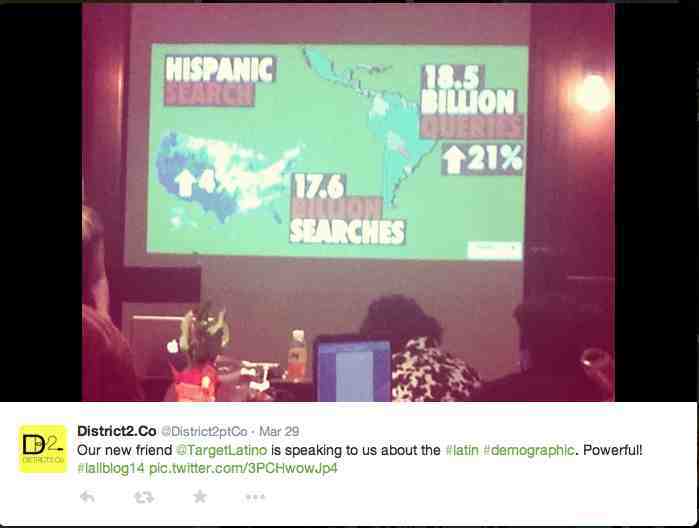 The Latina Lifestyle Bloggers Collective extended a special invitation to Havi Goffan to give a presentation on “How to Increase Organic Traffic via SEO and Pinterest for 2014” at their 4th National Annual Lifestyle Bloggers Conference – LALLBLOG14. 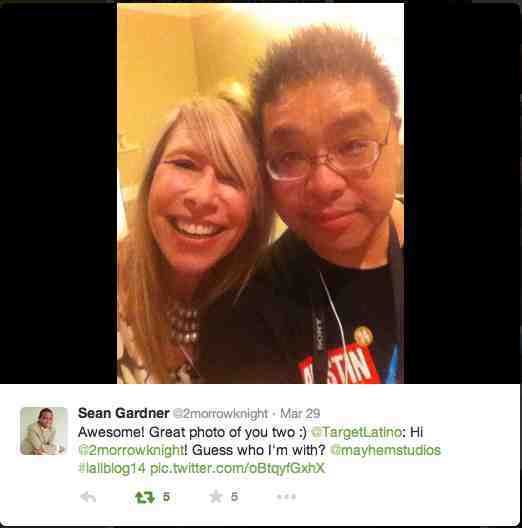 The conference took place at the LA Mart in Los Angeles, California from March 27th to March 29th, 2014. 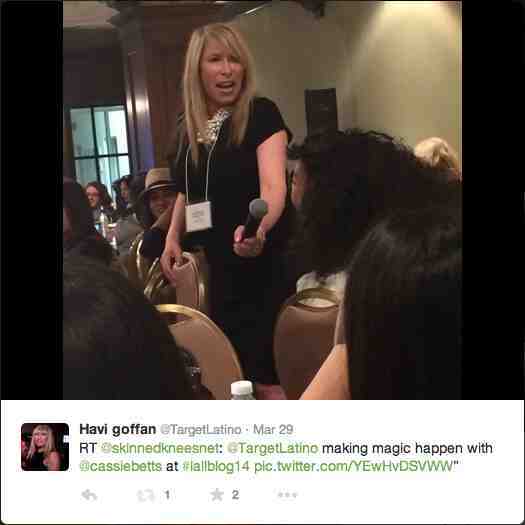 It was organized by the Latina Lifestyle Bloggers Collective in collaboration with SoCal Lady Bloggers. 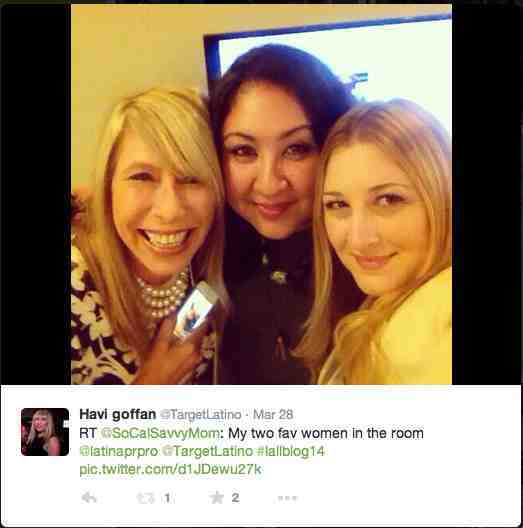 Havi Goffan’s presentation was the most tweeted of the #LALLBLOG14 Conference. See the pictures below to find out why! 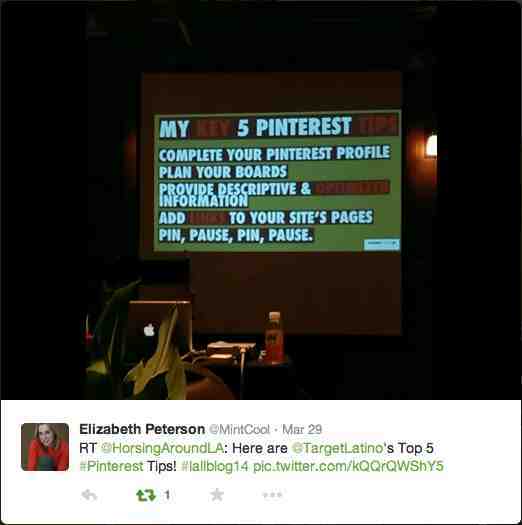 * Legal 101 for Bloggers: Rosa Elena Sahugun, one of LA’s leading lawyers, provided #lallblog14 attendees with do’s and don’t’s in contract law. 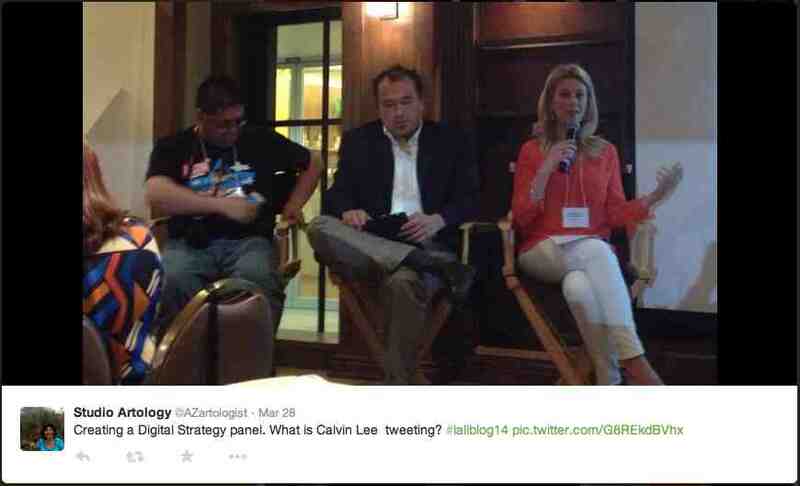 * How to create a Digital Strategy to Promote and Grow your Blog/Online Business: Panel discussion with John Urquiza, Calvin Lee (@mayhemstudios) and Stacey Kivel. 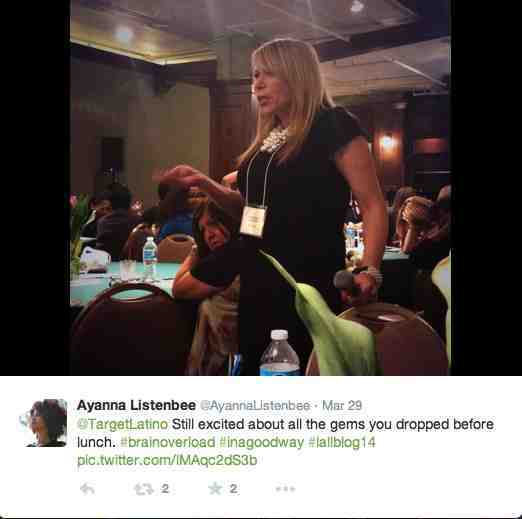 * Not Just a Blogger: Panel showcasing bloggers that have used their blog as a spring board to further grow their career. Panelists: @MarieDenee (The Curvy Fashionista) @norah_s and @marianthefoodie. 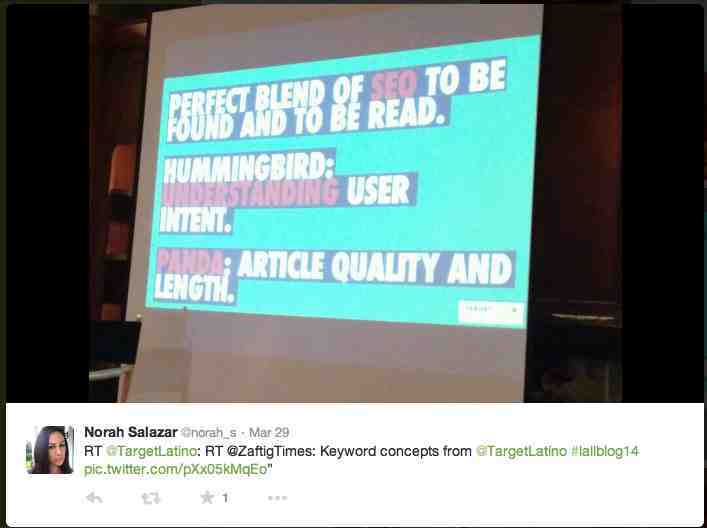 * Maximizing SEO for your Blog/Online Business: Learn world-class SEO knowledge from recent keynote speaker from #EngageMexico and CEO of Target Latino, Havi Goffan. 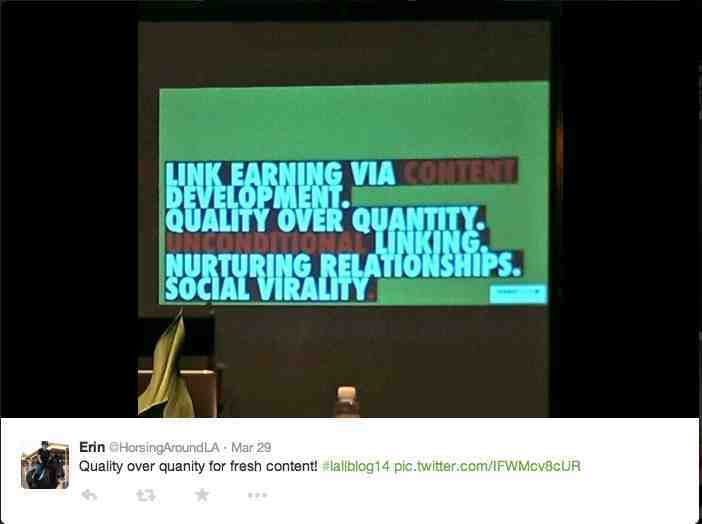 Havi gave a presentation on SEO tactics that need to be considered in 2014 for bloggers to grow their online presence. * The Ethics of Blogging: Panel discussion with @mamavation founder @bookieboo, journalist turned blogger@teresagarza, entertainment and lifestyle PR agency founder and radio personality @VesperPR, and Founder and executive director of @DIYgirls and MIT grad, @LuzRivas. 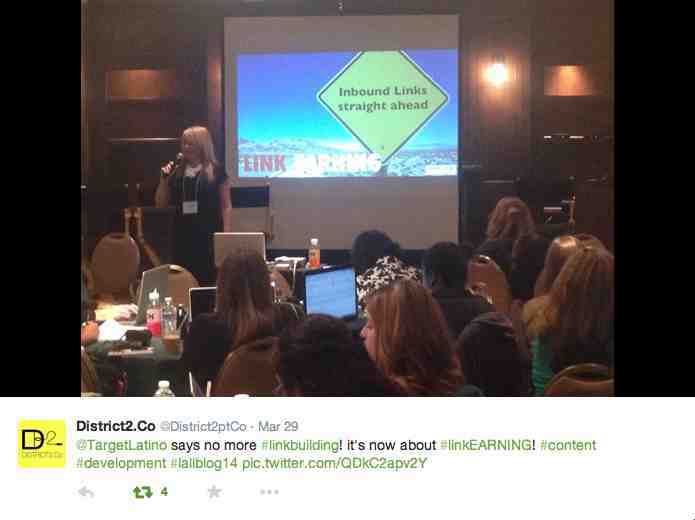 @TargetLatino says no more Link Building! It’s time for Link Earning! 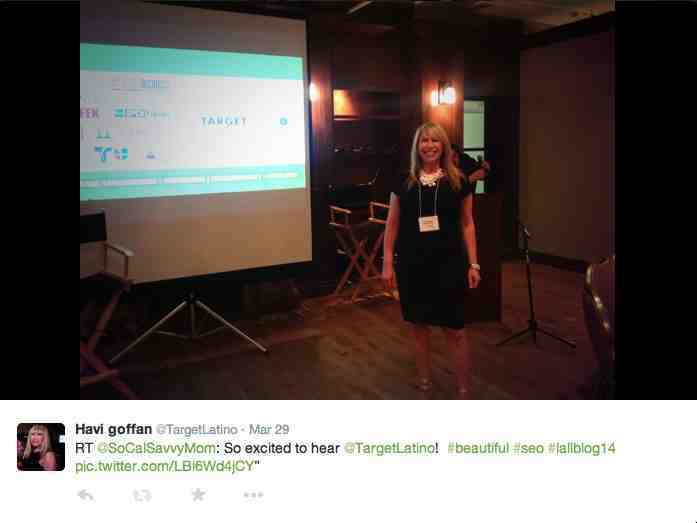 Havi Goffan gets her point across: NO keyword stuffing! 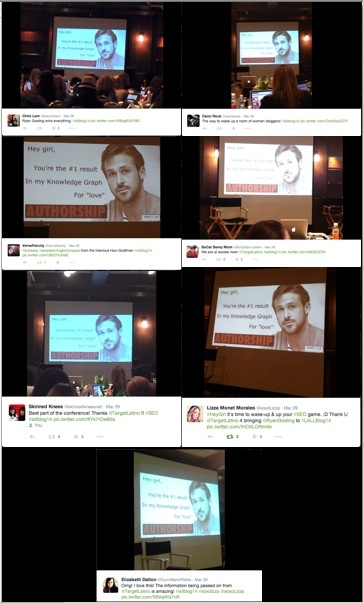 Probably the most tweeted slide of #LALLBLOG14 Knowledge Graph Gosling. 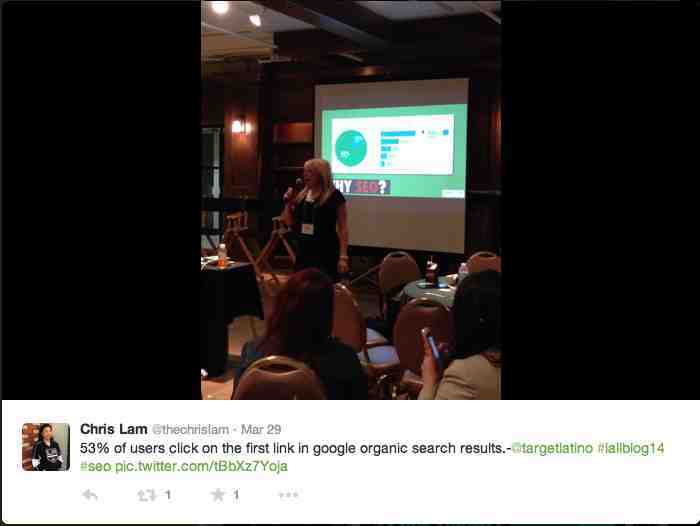 A great way to learn about SEO markup. 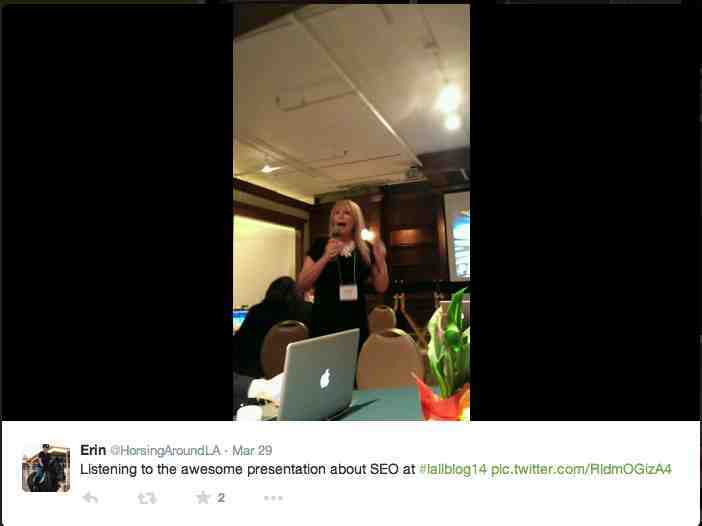 Her SEO presentation was the MOST TWEETED of the #LALLBLOG14 conference – Way to go Havi!